I earned $200 in less than an hour the other day, without removing any of my clothes. A bank gave me the money (or will, a few months from now) in exchange for opening a business checking account. Why would a bank or a credit union give away that kind of money? To get people through the doors. After all, that checking account is probably connected to a debit card. The customer might want a credit card, too. Down the road he might be in the market to finance a car, take out a small-business loan or apply for a mortgage. If you've had just about enough of your current bank's sneaky fees and indifferent service, this is a golden opportunity: Other banks will pay you to dance with them! Naturally the banks don't want you to open accounts just to get free fundage. Supermarkets don't want you to buy just the loss leaders, either. But that's the risk businesses take when they offer incentives. It would be cheaper for banks to offer toasters, the way they did in the old days, but most of us would rather have the cash. I found one such offer in a “student survival kit” coupon book while attending the University of Washington. You may see posters at the bank you already use, walk by a sign at your local credit union, or even hear a radio or TV ad. Or do it the 21st-century way, by looking for incentives and comparing rates online. Each bank has a different set of conditions. You may have to deposit at least $100, or leave the account open for at least six months before your bonus comes through. You could be required to set up direct deposit, or to complete a certain number of transactions in a set time period. This can be fairly easy to do. For example, the online checking account necessitated making several debit-card purchases. I used the card to buy a few small, cheap and necessary grocery items. The Academy Award for “Best Gaming of the System” goes to an unknown frugalist posting at TipHero.com. He or she opened a $25 checking account to get a $50 supermarket gift card. Next the bank sweetened the deal: Write four checks and get another $25. So the account holder wrote four $1 checks — for cash. A local credit union offered $25, which became the start-up funds for my contribution to my daughter's no-frills wedding. See a pattern here? The checking account is important to banks because it encourages you to set up direct deposit and online bill-pay. “Take advantage of the offer while making sure it isn't costing you money,” says Todd Sandler, of head of product strategy for ING Direct. My online bank account is still open but holds less than $20. If the bank nagged me to close it I guess I would. For now, it just sits there. Money would still be sitting in one of those national-bank accounts if the institution hadn't decided it would assess fees for accounts with (relatively) low balances. This announcement, incidentally, was on the back of the monthly statement. Sneaky bastards! A small part of me wanted to keep that account open in case I ever move back to Alaska. But about seven-eighths of me was feeling uber-stressed: I was up to my hairline in deadline and unable to handle one more curveball. The last time that happened I wound up paying for ringtones I didn't order, so I just closed the account. Relax: Credit scores typically aren't affected by bank account closures, according to Weston — unless, of course, the account was closed by the bank because you hung a lot of bad paper. Scattered funds. Your money's all over the map. Suppose you needed a big chunk of cash right away? (Job loss, bail bondsman.) Having to go to four or five different places could be a pain. Scattered attention. If you haven't made any recent deposits, it's easy to ignore the statements. 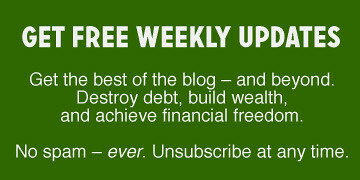 As noted above, you might lose money to newly created monthly fees. No interest. Incentives tend to be for opening checking accounts, which usually don't pay interest, or pay much of it, anyway. Not that savings accounts or certificates of deposit are sagging under the weight of interest payments, but you might be able to get a slightly higher percentage at some online banks. Let the bank buy the drinks? Seed money for your emergency fund. Vacation savings. Let the bank spring for $200 worth of margaritas on the beach. College fund. Put in whatever you can during gestation, and add any checks from the delighted new grandparents. Later you can put it in a 529 account or whichever vehicle you choose. Savings accounts for your kids. Watch for online bank promotions that offer not just bonuses for them, but also referral fees for you. Someday fund. Want to pay cash for your next car, or save a down payment for a home of your own? The longest journey begins with a single buck. If you're funding a dream, vow to beef up the account even if it's $5 at a time. I did that, depositing into my credit-union account the proceeds from mystery shopping, manufacturer's rebates and the occasional Craigslist sale. It wasn't much — that was a tough couple of years — but as I recall I set aside a few hundred bucks. Every little bit helped, given that the bride was then on disability and the groom got laid off shortly before the wedding. Of those four extra accounts, two are now closed and the online one might as well be. But the fourth one is not only active, but hopeful. It's my own big-dreams fund: I call the account “Home” and have been squirreling away any extra money I can. Note: You will have to pay income tax on the “free” money the bank gave you. But how else could somebody like me make $200 in an hour? Legally, I mean. So I'll pay my taxes with a smile, because what's left is mine to keep. Yours too, if you start saving now. Bonus: You get to keep your clothes on. There are 53 reader responses to "Free Money from Banks! (But Watch the Fine Print)". Great tips. For any deal involving a deadline (I once got a free roundtrip ticket from jet blue for signing up for their Amex. I canceled it at 6 mo and a day) I use followupthen.com. It’s a free email-based reminder service. When you sign up for something that requires your attention in 30 days, send them an email at [email protected]. Six months? [email protected]. You can forward emails to them too, like free 30 day trials you want to remember to cancel. My wife and I opened up a business checking account, and the only perk was that the monthly service fee was waived if you kept a minimum balance of $1000. I wish that I had searched around a bit more for better incentive deals. I do like the concept of multiple accounts for different savings purposes. Although, with my ADD bran, I think that I would likely abandon them as you mention. There is a fine balance to be found here. These promotional offers can be fun for attentive people who enjoy playing games. But it can be disastrous for the busy, addled, or disorganized as Donna warned. Banks offer these “loss leaders” because they know they’ll never lose enough from the smart “gamers” to make up for the big bucks they’ll get from people who don’t play as well. I’m an old fashioned monogamist. I like to keep my financial life simple. So I pay attention to my good old community development credit union newsletters. Recently they offered an interest rate discount to borrowers who “like” them on Facebook. And they give discounts for car loans on energy-efficient cars. And free bill paying if you’ve opened all the types of accounts that I have already. I’ll leave the tempting bonuses to others. I suspect I’ll save more by staying put. I’m in the same boat. I like to keep my life simple. It’s enough for me that I have savings over at ING and my checking elsewhere. I search around for the best deal for me and stick with it. Also, I second the credit union love. I’m not at one right now, but I have happily banked with great ones before. To me, a good bank is worth so much more than a $200 bonus in saved aggravation and frustration. I find my little rewards and extra money in different places. That said, it’s still a good and interesting article. Kudos to those who make it work for them. I agree with you. To me this seems like a fools errand for small potatoes. The cumulative 5-point dings on the credit score could cost more over the course of a car loan or mortgage than you’d ever make on the premiums. Not to mention hidden fees, time spent running around to open accounts, adding your personal info to even more banks’ hackable databases, etc, etc… This idea is for chumps! I did note the necessity of being careful about fine print/hidden fees. And since I’ve opened only five accounts in about five years, it hasn’t hurt my credit score (which is excellent). If you don’t like the idea, don’t use it. A few months ago, I took Chase up on their 50,000 reward points bonus available on their Sapphire card. I could cash them in for $500, but instead will use them towards airfare, which increases their value to $625. Inside my Sapphire statement, I received an offer to open a checking account, keep it open for 6 months, and be paid $150. I took them up on that and have already added the $150 to my Roth. If I fail to keep the account open for 6 months, I have to return the $150. No worries, I will wait until I receive my 7th statement before I close the account. To me, $775 is not chump change. It was well worth the small effort. I think so, too, which is why I do it — with my eyes open. Chump is as chump does. Yep, which is why I noted that SOME banks will do it. And if you’re in survival mode, who cares about a 5-point temporary dip in the score? It’s not as though you’re going to apply for a mortgage the next week. Those fine prints at the back of the statement worries me. I have now gone e-statement route, I wonder I have to do a search on these multi page statements with word ‘Fee’. I am more worries about the risk free trials that come with credit card statements. Ctrl-F (search shortcut)for fee is the way now. I wrote about bank incentivesa couple weeks ago. It’s great to get free money, but the money is not always “free”. When you factor in the taxes involved since the money is reported as interest income on a 1099-INT. Then, you consider the fact that you have to start using some of those accounts regularly to complete the deal. Other offers require significant minimum balances. When everything is said and done, it simply doesn’t pay to go through all of that work sometimes. YMMV, of course, which is why I suggested diligence. But all I had to do this time around was open the business account, which I probably should have done by now anyway. If they want you to jump through hoops, I agree it might not be worth it. But if all that’s required is to use a debit card a few times, then use it for something you need anyway, like bread or milk, and then get stop using the card. That doesn’t seem particularly onerous. To me, the $200 plus the possibility of another $100 for minimal hassle sounded pretty good. I absolutely agree Donna, the benefits may very well outweigh the work involved. I just remember seeing some recent promotions with direct deposit plus a number of bill payments, or something like a $10k balance. I understand their reasoning, though, since their earnings on overnight loans are higher the more they have to load, which is why they set such parameters. If someone is going to jump through those hoops, the chances are greater that it will become their permanent bank and the bank will make more money. Can’t fault them for that. Interesting how much money banks must make off of us to be able to offer such strong incentives eh? To give away $200 just for signing up means that they are recouping the money at some point. I guess it is probably like rewards credit cards where I guiltily pay off my balance every month, and think about how it’s paid for by people caught in the debt interest death spiral. They wouldn’t do it if it didn’t pay off. I expect it’s from all the people who DO eventually apply for loans because they already have a relationship with the bank vs. looking around for the best deal. Know that going in, and use the program that works for you, is all that I’m suggesting. Mabye I’m missing something, but bankdeals.com looks like a SEO link farm. Thanks for the catch! Perhaps Donna meant Money-Rates.com? I changed the reference to there instead of the link farm. Also just to keep in mind – while the bank bonuses are taxable (1099 is classified as miscellaneous income), Credit Card bonuses are generally NOT taxable, as they are a “rebate” and not “income”. So, with the recent group of credit cards offering a $500 bonus after you spend $5000 – that is completely tax free, and once you have the reward you can feel free to close the account. What CCs have a $500 bonus offer right now? I’ve never seen one that high. I replied once including a link, but it seems to be stuck in GRS’s spam filter. Google “Chase Sapphire 50,000 bonus points”. The offer is still available. You must spend 3k within 93 days of opening the account to get the bonus. If that is not a problem for you, then grab that bonus for yourself. I recently took advantage of the ING Electric Orange offer ($50 for opening a checking account and use a debit card three times) in order to get away from using credit cards. I have three-months worth of living expenses in my main checking account, which earns 4% interest. However, I don’t want to have my debit card to that account stolen and have my account cleaned out. I’m sure my CU would help me get it back, but I don’t want to deal with that pain. So, every couple of weeks I transfer money to my online checking account so that I can use that money for online purchases, restaurants, pretty much anything that’s not groceries or utilities. If the online checking card gets stolen, it will have much less of an impact on my finances. The amount in that account is an order of magnitude less than my main checking account. The $50 incentive was enough for me, and I think it’s put me on a path to more responsible spending. Where the heck are you getting 4% interest on a checking account? I haven’t seen that kind of a rate in a looooong time. My wife and I recently opened an account at our local credit union. I had been wanting to for a while, and then they offered $115 to anyone who did. It’s going to become our primary checking account, and our old one will be closed by the end of this year. So it was a win-win for us. I just recently opened an account with Chase Bank for a credit card that offered $200 cash back. Requirements are to spend at least $500 dollars in the first three months. That was a great deal for me because I have been wanting to get another credit card besides my Discover card that is not accepted everywhere I go. Free $200. Sure sign me up. $200/hr doesn’t seem quite accurate- how long did it take to find the banks making the offers, get your paperwork in order, sign up for the account, transfer the money, write the four checks, monitor the service for 6 months and then cancel… seems like it would add up to over an hour. i’ve been tempted by those offers before, but i always figure they’ve got some trick or another- no free lunches, etc. often you have to start a direct deposit, which is difficult on a freelancing income. The things you cite are a mix of the different things one *might* be asked to do. Again, YMMV. Here’s how I earned my $200. I already banked at the bank that sent the letter saying “we’ll give you $200 to open a business checking account.” I went down there when I had to deposit a couple of checks anyway and sat with a banker for a while filling out paperwork and discussing my small business (writing) and another couple of offers ($100 for moving money into existing savings, $300 if I got a business credit card). An hour or less. If you did it the responsible way, i.e., looked around for an offer better than $200, it would probably take you another 15 minutes. Whatever works is what I suggest people do — including realizing that a deal might not be right for them. I used to chase bank and cc deals until I signed up with USAA. They are tops in customer service which I value more than the come ons from other banks. I was offered a free ipod touch to swich to a bank in town but didn’t want to sign up for their direct deposit or have 3 payments made through their bill pay as I go to each account I owe on a monthly basis and pay through their web site. I agree, and this is what causes my hesitation. It’s never ‘just an hour’. Its a 6 month process – to open, monitor, and close. Often they require direct deposit be set up, which is more time and hassle. Then god forbid you screw up. With all the high bank fees, there goes a good chunk of your ‘profits’. 2 banks in my area are offering $150 to open accounts right now. I am very tempted. I am weighing the money vs. the hassle. I would hope you’d work not to “screw up” either with a new account or your old one. And as noted, if there are fees involved it’s probably not worth it. I would resent paying fees on *any* account, new or old. One of my favorite perks (currently) that banks are offering, are a discounted rate on auto loans when you’re a checking customer and the payments are automatically deducted. Recently, I discovered that Chase would give you $125 for opening a checking account and setting up direct deposit for $500/month or more. Easy enough. Then, I noticed Chase was offering an auto refinance loan with 2% less interest than my current loan, and also offered a .5% interest rate reduction for Chase checking account customers who set up ACH payments from their Chase checking account. Cha-ching! There are fees associated with refinancing an auto loan, however the $125 and .5% rate reduction more than cover all of the fees! So if anyone is looking to refinance an auto loan — definitely a route to look into. A lot of time bank incentives are awesome, but a lot of times they aren’t so awesome. It’s all about the fine print. Referral programs at banks are the best incentive programs, in my opinion. ING Direct actually pays you money for everyone of your referrals that turns into a customer. I find that the “Free money for opening accounts” deals are attached with too many hoops to jump through. But, that’s just me. I really liked this article, and will definitely start looking more closely at the special offers that big banks near me are offering. So far I’ve just opted for accounts at the credit union closest to my house. I do have to ask, though, what’s the deal with hating on strippers? If it was just a one-off joke then fine, but it was mentioned 3 or 4 times. I’m a gay guy, so maybe my perspective on this is wrong, but I know that if I could make $200 in less than an hour for taking my clothes off I would jump at the chance. I always appreciate an author taking the time to share a money-hack with everyone, but the warning bells in my head started clanging in my head right away while I was reading this. I have to be the devil’s advocate on this one. Don’t get me wrong – I believe that Donna made $200 in an hour. I’m not saying it would be wrong for any of the readers to open 8 accounts and try to make money for opening these accounts. I guess my warning bells are sounding because this method of income generation is not very sustainable nor does it follow the I’m-in-it-for-the-longterm path towards personal wealth that seems to be the standard upheld by most of the readers/writers on this site. If I owned a bank, I’d be thrilled to see articles like this. Anyone that is opening an account on a bare minimum balance and trying to juggle multiple banks is bound to make a mistake. And this is where I could charge you a fee for dipping below your minimum balance. Here’s a Wall Street Journal article about the increase of bank fees this past year. Just be smart with your money, and be able to weigh the consequences (good and bad) before you make decisions about your money. Agreed that we need to be smart with money, and not to “juggle” accounts ineffectively (i.e., make mistakes). That’s why I sounded these cautions myself, in the article. I don’t see where Donna advocated this hack as a sustainable income opportunity, ha ha ha. But you have to realize that Donna writes for the ultra-frugal in us and that she has a way to stretch dollars that make this a more significant proposition for her than it is for you. I personally could use $200 *right now*. Not sure this product is marketed to a customer like me though– is it? It’s not like I have a huge savings account undercapitalized banks want to fight for. I agree with Nick’s plea for caution and consumer circumspection. On the other hand, I like free stuff as much as the next gal or guy, so may I suggest travel reward credit cards (focus on the sign-up bonuses) as a place to grab freebies from our generous (with our money) banks . If you like to travel, don’t carry debt, are not looking to refinance, and possess an excellent credit score, you can easily rack up many thousands of dollars in free airfare/hotels credits. I’d rather open a CC account, and receive $500-$1,000 in travel credits for either paying a small initial fee or spending a few thousand on that card over the span of a couple months, than open up checking accounts for small cash bonuses. But whatever works for you, I say, just as long as you stay vigilant and remain organized. I think I’ll just stick with my credit union of almost 40 years. I joined when I got my 1st real job. They’ve never charged me a monthly fee. I “play games” with lots of things to get a bit of money, but tracking it all just makes me tired. A good “game” to play for some as Donna noted. Banks are a business, and thus they are trying to make money, so I have (and do) take advantage of these offers. I find many of the offers worth the hassle, but as the other posters’ debate reveals, that’s a personal thing. Credit unions, however, are not-for-profit member-owned cooperatives that (in general) offer an excellent service by plowing their “profits” back into their members. Personally, I won’t play the game against credit unions. I had a great bank incentive. In 1973 I opened a bank account and got a free 13 inch B&W TV. I took it with me to college, and used it until 2003, when it finally gave up the ghost. I wore out two electric plugs for it. Ah, the good old days…. I’ve been doing this for years and have made thousands of dollars from it with no problems. I even have a site about bank bonuses. This is about the easiest money you can make. I’ve done this in the past – over the past 2-3 years I’ve netted probably $300. Right after the big banking crisis in 2008 there were TONS of great offers, as the banks had to struggle to get more capital. I’ve found lately that the offers just aren’t as good. $100 bonus, but you need 15 debit card transactions, 2 online bill payments, and direct deposit? No thanks, too much work. I do still keep my eye out for them though. Wow, that IS a lot of work. All I had to do was open the account and keep it open for six months. I probably wouldn’t have taken that offer, either, because switching direct deposit from my current employer would have been a biiiiig paperwork hassle and because I tend to use a credit card rather than a debit in order to get rewards. I agree: Keep your eyes open for the better deals and then determine if they’re right for you. What happened to the blogs that Donna referred to when this post was first posted?? Why were they removed? Good thing I saved them as favorites before they were removed. I think if you are pretty disciplined you could handle a few chequing accounts at once that you opened to get a bonus and need to keep open for like 6 months or a year. Account 1 could be where your paycheck gets direct deposited and you pay your mortgage. Account 2 could be where you deposit all the paper cheques you get and pay some other bills. Account 3 could be where you save for your retirement. Account 4 could be where you pay your credit cards (because of course you should pay with credit cards as much as possible to get the rewards!!). Just keep an excel spreadsheet or something. My aunt and uncle were telling me the other day about playing this game. There’s a bank in the UK (Halifax) that offers you Â£5 a month on their current account if you pay in Â£1000 every month. So they both opened accounts and bounce like Â£1000 around between the two of them, earning a nice little Â£160 a year, which when you’re retired is not to be sniffed at. Santander have recently opened an offer whereby depending on what other bank products you have with them, you could get a lump sum of Â£100-300 for switching your main current account to them. Natwest offer a student railcard if you open a student account with them, which is very good value for money because it gets you 1/3rd off rail travel for 3 years. I didn’t take them up on it though, my parents bought me my railcard as a Christmas present and I can’t be doing with the hassle of opening another account. Oh, and I forgot to mention, sometimes having more than one current account can be a big pro. I have 2 and at one point only one of them had a debit card attached, so the other account was more for emergency money or short term savings. ATMs only dispense Â£300 per day per account in the UK, so if you need more than that outside of bank hours (say you’re putting down a deposit on a rental property), then having more than one account can be useful as it allows you to take out more cash. Three months ago I opened a chase Freedom cc acc. (visa) The usual switch and bait of 5% on this and 1% on that, so far Ive netted $120.00 in cash, Iam owed another $40 cash in rewards. So $160.00 to the good and this last month has been huge on cc usage and paid off before the end of the month. I cant wiat untill the next statement. Wonderful article, Donna! I opened up a Chase checking account for the free $100. It was quick, easy, and painless. All it required was that I use it for direct deposit. I am about to open another Chase account for $100 and I do not feel like it is a waste of time at all. I think more people should take advantage of such offers! I’m 23 and I quite enjoy playing the banking games. A while ago RBC had the 300$ offer to open an account with some strings, and currently BMO also has a 300$ offer. Netting, I made 300$ from RBC and 290$ when I play the game right at BMO. I can’t quite net 300$ from BMO because of their monthly service fee. However, I will transfer money from another account to waive these fees. This comes at a small interest cost from the other bank – hence the $290 instead of $300. I already closed my RBC chequing account and made $300 clean. The RBC needed a direct deposit and so does BMO. Quite simple if your employer is willing to help you out there. I only deposited a fraction of my paycheck into here. The BMO also has the condition to have a pre-authorized payment. I just tell it to pay a small part on my one credit card. Quite simple if you just read the fine print! Even though it doesn’t seem super simple, it definitely can be. This has to be one of the easiest ways I have ever made $600 in a matter of hours.